The gods of technology have been smiling down upon me in my jungle abode, and not only is the Blog on www.surfingdoctors.com up, but I have also worked out how to use it… no kicking, screaming or swearing either…a triumph! I’ve also uploaded the few previous missives that I’d sent out via our Facebook group previously…. 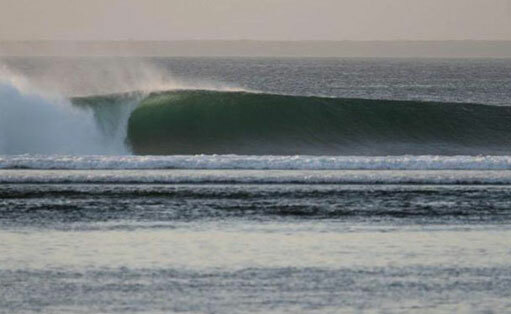 Waves… yesterday saw Moneytrees barrelling at 4ft+ nice, clean, and not that many people in the water, as a lot of people had to leave yesterday, and not that many in…. Burko the surf guide’s little bro arrived yesterday a G-land virgin, got 3 really good waves and then had an encounter with the reef- minor scratches only- they’re back out for more as we speak, looks a little bigger today, should be fun. Food… curry went down a treat, I think I’ll do it again soon…. taking culinary requests… happy to cook lunch… dinner interferes too much with Bintang time…. SurfDoc in Residence, Joyo’s Surf Camp, G- land.